Bryan Lawrence, who has died in his 81st year, was born Brian Lawrence Palethorpe in Birmingham, England. He began his dance training at an early age in regional schools in England and then trained, on scholarship, at the Sadler’s Wells Ballet School (later the Royal Ballet School) from the age of thirteen. After moving into the senior school he began performing in walk-on parts with the Sadler’s Wells Opera and Ballet. He never legally changed his name but used ‘Bryan Lawrence’ throughout his professional career. 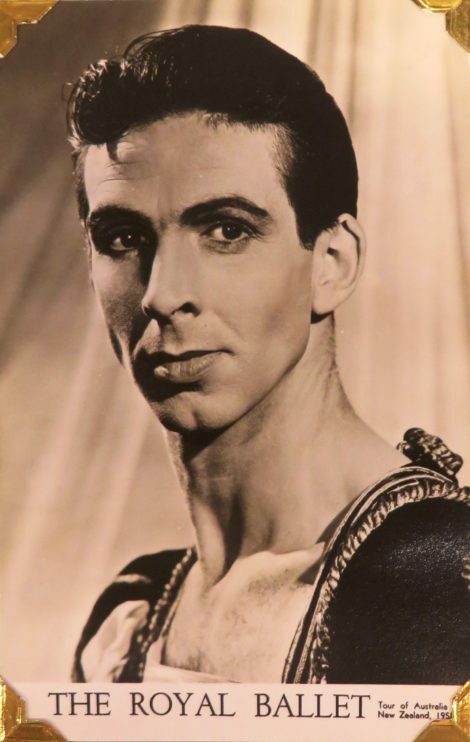 Lawrence joined Sadler’s Wells Theatre Ballet in 1954 and was promoted to soloist in 1955. His first professional dancing part, undertaken while still a student at the Sadler’s Wells School, was in the corps de ballet of The Firebird, as staged by Lubov Tchernicheva and Sergei Grigoriev for Sadler’s Wells Ballet in 1954. Lawrence joined the company a little later and toured with them to regional venues in England until 1957. Following a period of national service with the RAF he joined the Royal Ballet in 1959 and became a soloist in 1961. In 1964 he moved to Australia at the invitation of Peggy van Praagh and joined the Australian Ballet as a principal dancer. I recall riding a camel across the desert at 4 am to see the Pyramids after a long overnight flight from Perth to Cairo, and doing a class in the temple ruins at Baalbeck at seven o’clock in the morning when the sun became so hot we were unable to continue. It was interesting working with Bobby. I did, I think, most of the choreography for my bits myself. Bobby was inclined to do that. He worked out, obviously, the general thing, the story, but I can remember him saying before lunch one day, ‘Well, you know, think about something to do there.’ And I just worked something out myself and it was accepted. (left) Bryan Lawrence and Kathleen Gorham in The Display. The Australian Ballet, 1964; (right) Bryan Lawrence and Elaine Fifield in Les Sylphides. The Australian Ballet, 1964. Photos: Walter Stringer. Courtesy National Library of Australia. 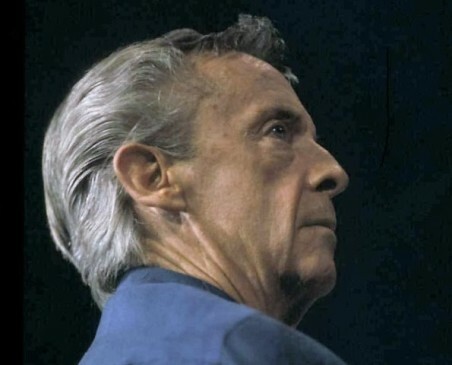 Lawrence resigned from the Australian Ballet at the end of 1967 and in 1968, along with fellow Australian Ballet principal, Janet Karin, founded the Bryan Lawrence School of Ballet in Canberra. Together, Lawrence and Karin trained many fine artists, including Ross Stretton, Joanne Michel and Adam Marchant, all of whom rose through the ranks of the Australian Ballet to dance principal roles before going on to expand their careers in other significant directions. The school’s performance group, the Bryan Lawrence Performing Group, presented its first classical production, excerpts from Coppélia, to Canberra audiences in 1970, and its first full-length ballet, Giselle, in 1974. 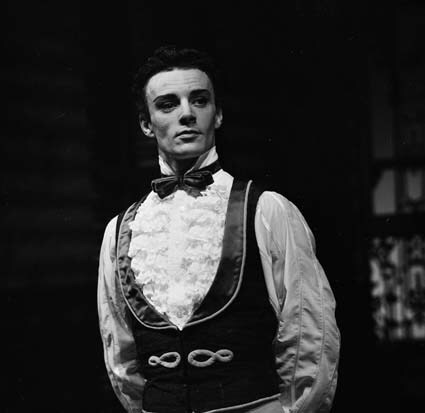 Lawrence appeared in the school’s productions on occasions and was especially admired for his performances as Captain Belaye in Pineapple Poll, Albrecht in Giselle, and Dr Coppélius in Coppélia. He also occasionally choreographed short works for the school’s annual performances. Lawrence left Canberra for Sydney in 1986. In Sydney he undertook a variety of jobs including a brief period of work as a teacher at the McDonald College. Lawrence remarried in Sydney and lived towards the end of his life in Victoria Falls in the Blue Mountains west of Sydney. He was an accomplished pianist and in his retirement enjoyed composing original, short works for piano. 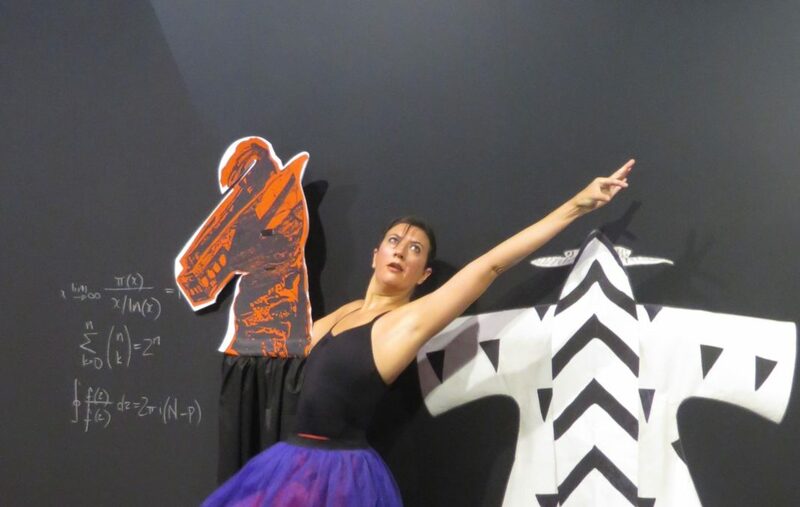 After he left Canberra, the Bryan Lawrence School of Ballet was renamed the National Capital Ballet School in 1987 and the associated performing company became the National Capital Dancers. Bryan Lawrence is survived by his first wife, Janet Karin, with whom he had two children, a son Nicholas and a daughter Isobel (deceased). He spent many happy years with his second wife, Lyn Palethorpe. Brian Lawrence Palethorpe: born 4 September 1936, Birmingham, England; died Katoomba, New South Wales, 8 July 2017. With the Royal Ballet preparing for a tour to Brisbane later in 2017, I have been delving into various research materials available in Canberra and Sydney to put together some thoughts about the first tour by the Royal Ballet to Australia and New Zealand, which began in 1958. 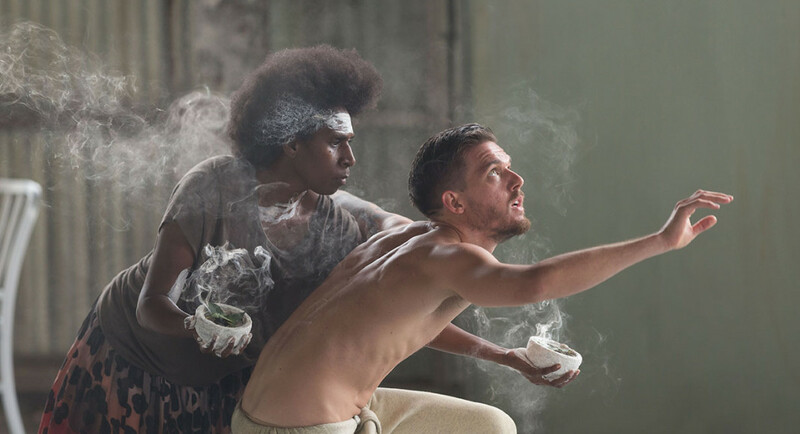 The company was essentially the touring arm of the Royal Ballet, augmented at various stages by dancers from the main company, including Rowena Jackson, Svetlana Beriosova and Anya Linden; Philip Chatfield, Bryan Ashbridge and David Blair; and Robert Helpmann, who danced some featured roles, including in The Rake’s Progress, Hamlet, Façade and Coppélia. Margot Fonteyn and Michael Somes joined the company in New Zealand. The company was led initially by Ninette de Valois. She arrived in Sydney on 22 August, ahead of the main contingent of dancers, who arrived on 1 September after what Lynn Seymour describes in her autobiography, Lynn, as a trip that took ‘three flying days, with desperate relief stops in Frankfurt, Rome, Cairo, Karachi, Calcutta, Bangkok and Singapore.’1 De Valois was accommodated in style at the Hotel Australia in Sydney—’should be booked into a nice room at the Australia with bath’ ordered the Williamson organisation. In addition to de Valois, other administrative and artistic personnel included John Field, listed on the Australian programs as assistant director; and musical director John Lanchbery, who arrived on 30 August on board the P & O liner Stratheden, and who conducted local orchestras in each city. Ballet staff included Henry Legerton as ballet master, and Lorna Mossford as ballet mistress. 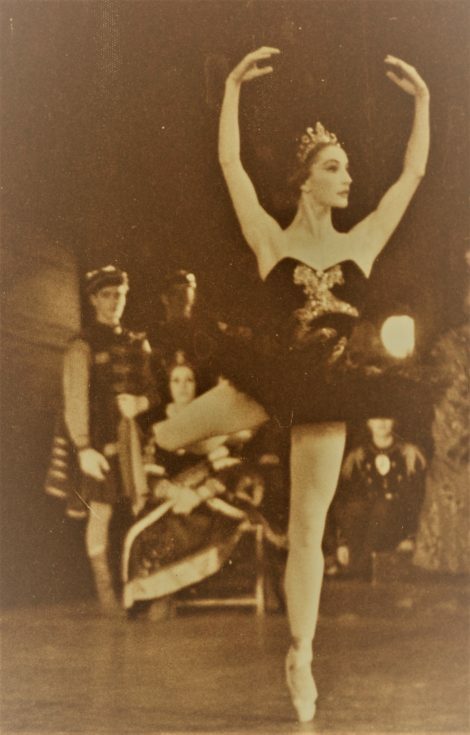 While much could be written about the tour, which, with some important exceptions, is most often given just one or two lines in books written and published in Britain, three aspects of the tour stood out as I was looking into the material available here: Lynn Seymour’s debut as Odette/Odile in Swan Lake; the writing of the Sydney-based critic and poet, Roland Robinson; and some black and white film footage shot in Melbourne in 1958. Although Seymour says in her autobiography (and the story is repeated in Meredith Daneman’s biography of Margot Fonteyn), that her debut performance as Odette/Odile coincided with her 19th birthday, this can’t be so. Seymour gave her first performance in the full-length Swan Lake in Melbourne on 12 November 1958, but her birth-date is 9 March 1939. 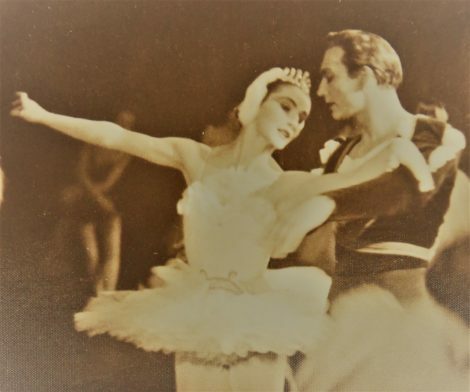 The debut was at a Wednesday matinee performance and Seymour was partnered by David Blair for this and for her second performance on 15 November, after which Seymour danced with Donald MacLeary. The images below were taken in Melbourne in 1958. That Seymour is partnered by Blair in this collection of photos indicates that they must have been taken during Seymour’s first or second performance. They must surely be the earliest photos of Seymour in the full-length Swan Lake? (right) Lynn Seymour in Swan Lake Act III (detail). Roland Robinson (1912–1992) wrote dance reviews for The Sydney Morning Herald for ten years during the 1940s and 1950s, always signing his reviews with just his initials, R.R. He was a poet of distinction and also wrote extensively about Aboriginal myths and legends. In the 1940s he took ballet classes in Sydney with Hélène Kirsova, whom he called his ‘teacher and heroine’, and appeared in a number of productions by the Kirsova Ballet over a three year period. His reviews thus combine a deep knowledge and strong understanding of dance (and not just its technical features but its essential qualities as an art form) with an elegant use of language. His language embodied ‘the lyrical traditions of his native Ireland’ (he was born in County Clare), as one author wrote in an obituary for Robinson. Robinson wrote what he thought, and there is much more to read from him in back copies of The Sydney Morning Herald. His writing on dance is as fascinating today as it must have been irritating to many in 1958. Lasting around 25 minutes, a somewhat grainy, black and white film recording the visit by the Royal Ballet to Melbourne was shot in December 1958. It opens with a segment showing Anya Linden and David Blair sauntering through the gardens in Spring Street, not far from Her Majesty’s Theatre where the company was performing. There they weigh themselves (amid some mirth) on a large, coin-operated public weighing machine. They are then approached by a white-haired gentleman who shows them a book (Arnold Haskell’s In his true centre), which they examine. Then follow extracts from the company repertoire as performed in Melbourne, including excerpts from Swan Lake, Giselle, Veneziana, Pineapple Poll, Don Quixote (pas de deux), A Blue Rose, Façade, Les Patineurs and Coppélia. These dancing segments include a tantalising glimpse of Helpmann tottering across the stage in heeled shoes as Dr Coppélius, a wonderful hornpipe from Blair as Captain Belaye in Pineapple Poll, and an all too brief look at Seymour as Aurora in Coppélia, performing with beautiful fluidity in the arms, neck and upper body. It is unclear who shot the film, but I wonder if it is perhaps Dr Joseph Ringland Anderson, Melbourne ophthalmologist whose films of the Ballets Russes visits to Australia, 1936−1940, are such a valuable addition to our knowledge of those companies? 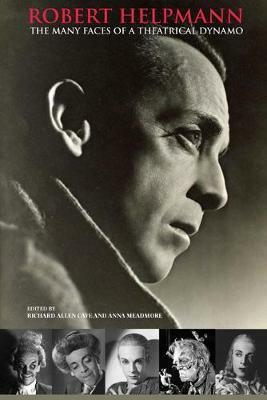 The Royal Ballet film has a number of backstage scenes, especially moments captured just before curtain up, which are similar to moments that appear frequently on the Ringland Anderson Ballets Russes films. And, as also occurred with the Ballet Russes films, much of the action is filmed from the wings. I wonder too if the white-haired gentleman in the Spring Street gardens with the copy of In his true centre is perhaps Dr Ringland Anderson, who would have been 64 at the time? Time may tell. The Royal Ballet will play Brisbane (as the only Australian venue) from 28 June to 9 July 2017 as part of Queensland Performing Arts Centre’s International Series. The repertoire consists of Wayne McGregor’s Woolf Works and Christopher Wheeldon’s A Winter’s Tale. Details at qpac. Update: the signed photograph of Seymour referred to in the discussion below has been posted at this link. Since seeing Stephen Baynes’ production of Swan Lake, first in 2012 and more recently in its revival of 2016, I have been thinking frequently about the nature of the character of von Rothbart, ‘an evil geni’, according to the cast lists of the earliest Russian productions. 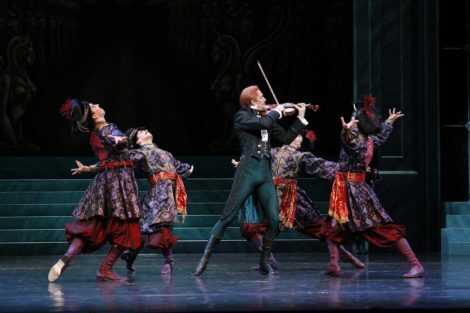 After reading on the Australian Ballet’s website that, in the Baynes Swan Lake, Rothbart is a ‘dangerously seductive dandy’ my interest quickened. Hugh Colman has dressed Baynes’ Rothbart in a red wig when he appears in the palace ballroom in Act III. I was startled the first time I saw it to tell the truth, so carrot-coloured was it. It is not new knowledge, of course, that Rothbart means ‘red beard’ in German and many designers have referred to that meaning. 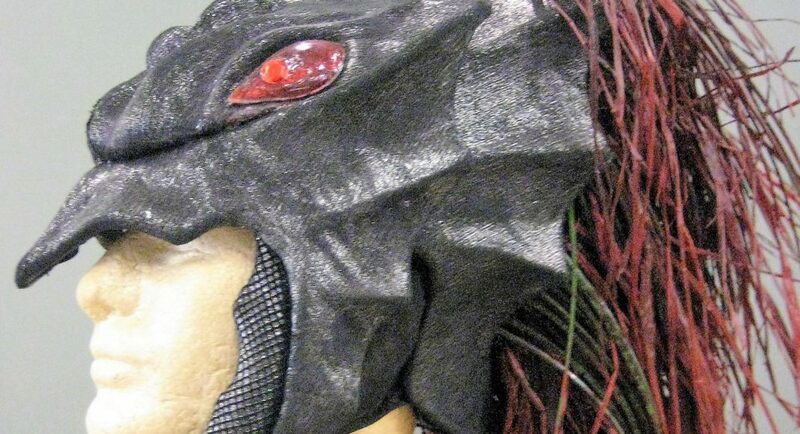 Kristian Fredrikson’s headdress for Rothbart in Stanton Welch’s Swan Lake for Houston Ballet, for example, has straggling red ‘hair’ emerging from it and a pair of glassy red eyes on the sides (as seen in the featured image above). I was interested too to discover that, in Cyril Beaumont’s in-depth analysis of the ballet in his book The ballet called Swan Lake, there is a very detailed account of how Rothbart was meant to look in the Petipa-Ivanov version of the story—even down to the angle of the eyebrows and the shape of the beard. But perhaps most interesting of all about Beaumont’s analysis is that he suggests that a character like Rothbart (one who is able to take on a variety of forms as he does in most traditional productions of Swan Lake) is often encountered in medieval romances and other early forms of literature—he gives an example of Archimago in Edmund Spenser’s Faerie Queene, who also has the power to assume diverse forms. In the story as adapted by Petipa for the production of Swan Lake on which most traditional productions centre, the swans are the victims of a character who has bewitched them, and who assumes the form of an owl to watch over them. The owl at times takes on a human form and in Act II appears in various places around the lake as an evil sorcerer. He listens to the conversation between Odette and Siegfried before disappearing. It then makes sense that he assumes another form in Act III, when he brings Odile to the palace, since he knows of Siegfried’s plan to marry Odette, which would outsmart him and remove his power. I have no issues whatsoever in rethinking the story or the characters—Rothbart can even be a ‘dangerously seductive dandy’. But can he just turn up in Act III without there having some kind of manifestation of what he represents in the previous act? It makes a mockery of the story if some kind of force, call it evil, sorcery, seductive dandyism, or a combination of features, has not had an impact previously. In the Baynes production, I kept wanting the projections that appear in the sky in Act II to be some manifestation of Rothbart. But I am reliably assured by a well-known dance writer/critic who spoke to an equally well-known member of the ballet staff at the Australian Ballet that those projections are swans and only swans. So for the moment I’ll just keep thinking that the Baynes Swan Lake is dramatically unsatisfying because I can find nothing that strongly prefigures Rothbart’s appearance in Act III. Recipients of the 2016 Benois de la danse awards were announced in mid-May. It was a pleasure to read that Hannah O’Neill was the joint recipient of the award for Best Female Dancer for her performance in the title role in Paris Opera Ballet’s production of Paquita. She shared the award with Alicia Amartriain of Stuttgart Ballet. But I was also delighted to see that John Neumeier had received a Lifetime Achievement Award. I still get shivers down my spine thinking of his exceptional Romeo and Juliet, which I saw recently in Copenhagen. And we have the pleasure of seeing his Nijinsky later this year in Australia. I am also a fan of the choreography of Yuri Possokhov, who received the award for Best Choreographer (also shared). I haven’t seen the work for which he was awarded, the Bolshoi Ballet’s Hero of our time, but I have great memories of his version of Rite of Spring made for San Francisco Ballet. The full list of awardees is at this link from Pointe Magazine. There is also the official site of the awards which gives a much longer account of the event, and includes a list of the nominees from whom the winners were selected. While searching for audio excerpts to use in my recent 2016 Dance Week talk, I came across some interesting snippets in an oral history interview I recorded with Bill Akers in 2002. Akers, who held several positions with the Borovansky Ballet and the Australian Ballet, worked closely with Helpmann on many occasions and, in particular, lit Helpmann’s Australian-produced ballets. I found his comments on the relationship between The Display and Yugen especially insightful. Although it is well-known that The Display was, in part, based on an incident that occurred early in Helpmann’s life, before he went to London in the 1930s, that Yugen was in some ways the antithesis of The Display is perhaps not so well-known. In the first audio excerpt, Akers talks about the early incident that clearly stayed in Helpmann’s mind throughout his life. In the second Akers reminds us of that incident, and then mentions how Yugen relates to it. The full interview with Akers is available online via the National Library’s oral history site. My article ‘Robert Helpmann: Behind the Scenes with the Australian Ballet, 1963-1965’ has been published in Dance Research, 34: 1 (Summer 2016), pp. 47-62. 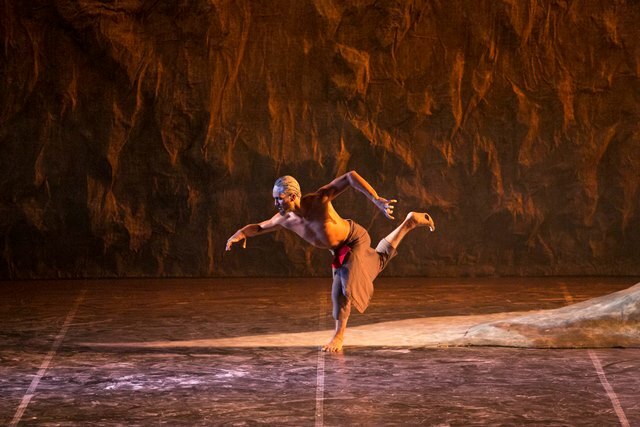 It fleshes out some of the ideas I have considered on this website relating to Helpmann’s two early ballets for the Australian Ballet, The Display and Yugen. The cover image on this issue of Dance Research is by Walter Stringer from the collection of the National Library of Australia. It shows Gail Ferguson as a Woman of the Village, in Yugen, mostly likely taken during a 1970s revival. Dance Research is published by Edinburgh University Press. Further details at this link. In April Canberra’s youth dance company, Quantum Leap, and YDance, the National Youth Dance Company of Scotland based in Glasgow, joined forces for a once-only performance of a triple bill, 10,000 Miles. 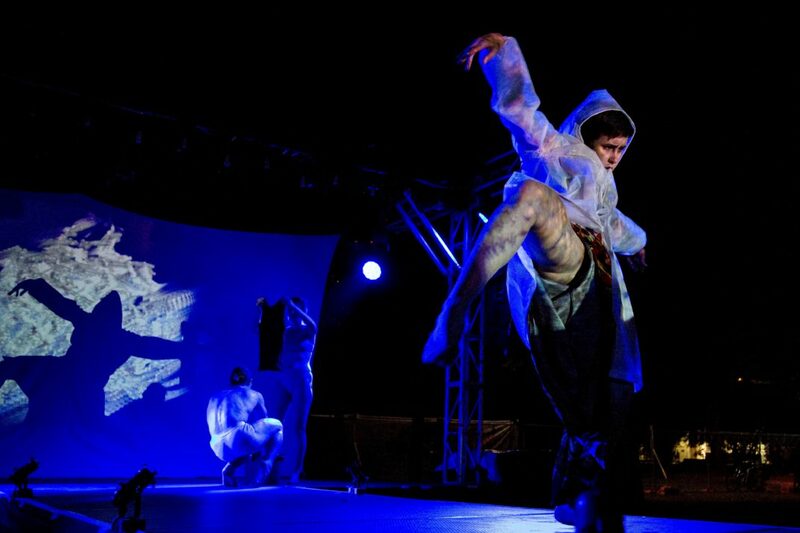 The performance was part of a wider program, ‘meetup’, involving youth dance companies from Melbourne and various parts of New South Wales, as well as Quantum Leap and YDance. For 10,000 Miles the three works on show were Act of Contact by Sara Black showcasing the Canberra dancers; Maelstrom by Anna Kenrick, artistic director of the Scottish company, which was performed by the Scottish dancers; and Landing Patterns, a piece choreographed jointly by Kenrick and Ruth Osborne, artistic director of Quantum Leap, featuring dancers from both companies. It was an impressive show and a terrific piece of cultural contact. Apart from the strong dancing from both companies, I admired the lighting of Maelstrom, a very effective design of geometric patterns from Simon Gane. 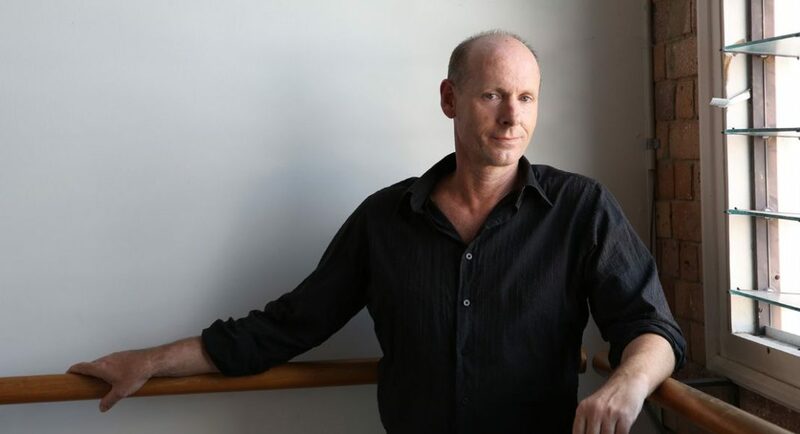 In April I had the pleasure of interviewing Greg Horsman, ballet master and director of artistic operations at Queensland Ballet, for the National Library of Australia’s oral history program. The interview is open to all and has been catalogued as TRC 6774. Ongoing Federal Government cutbacks make it unlikely, however, that it will go online for a little while yet. But it can be accessed by contacting the oral history and folklore section of NLA. 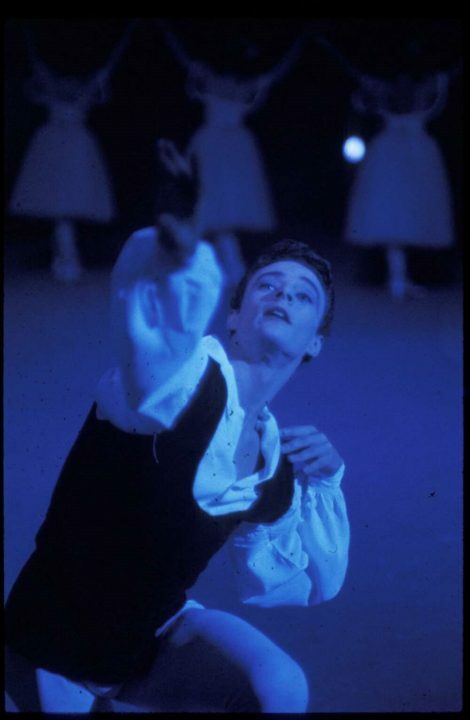 The NLA also holds a small but excellent collection of photographs of Horsman during his time with the Australian Ballet, taken by Don McMurdo. Dance Week 2016 will be in full swing when this post goes live. I will be giving a talk at the National Film and Sound Archive as part of the ACT festivities. Called ‘Helpmann uncovered’ it will look at the research I have been doing over the past year or so on certain little known aspects of Helpmann’s activities. Further details at this link. During April I went to see William Yang’s Blood Links, a solo show in which Yang, well-known photographer, delivered a monologue, accompanied by projections showing his extended family, in a moving search to understand his Chinese-Australian identity. While his dance photographs did not appear in this show (understandably), I was reminded of the work he did with Jim Sharman for the Adelaide Festival in 1982 when he photographed Pina Bausch. I recall with pleasure the small exhibition of this work that was displayed as part of Sydney’s now defunct festival, Spring Dance, in 2011. I also found a YouTube link in which Yang discusses his work with Bausch and that beautiful exhibition. 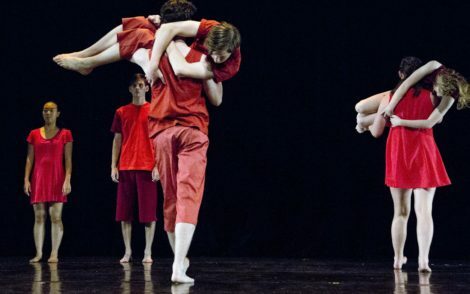 ‘Dance work challenges the senses.’ Review of FACES by James Batchelor and collaborators. The Canberra Times, 9 April 2016, p. ARTS 17. Online version. 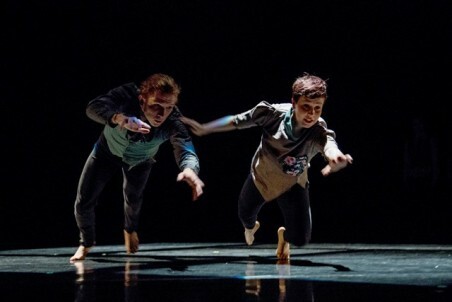 ‘Prickly attitude.’Preview of Sydney Dance Company’s CounterMove season. The Canberra Times—Panorama, 30 April 2016, pp. 8–9. Online version. None of the works on Birmingham Royal Ballet’s triple bill program, Shadows of War, focuses on war itself. Rather the focus is on the effects of war on humanity. Of the three works, I have to admit that I was especially interested in Robert Helpmann’s Miracle in the Gorbals, first performed in London in 1944. Archival photos from the National Library of Australia’s various collections relating to Helpmann have always aroused my interest. It was a ballet with a name that I really didn’t understand. 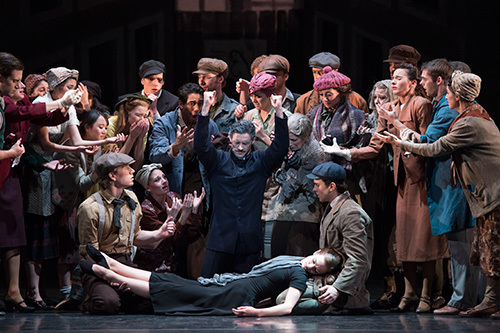 Well Birmingham Royal Ballet’s production turned out to be a fascinating restaging of the original, with choreography by Gillian Lynne, ‘after Helpmann’. 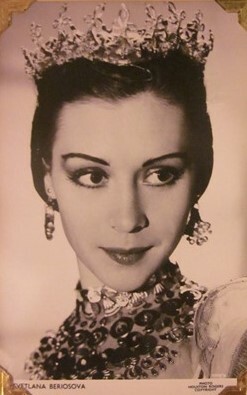 Lynne appeared in the original production and remained a close friend of Helpmann throughout his life. There are aspects of this restaging that look dated, which is hardly surprising given that the work is 70 years old. The obvious themes of the evils of prostitution and power of Christianity (or religion), the latter shown via the return to earth of a Christ figure (the Stranger, played originally by Helpmann), seem a somewhat melodramatic way of developing the universal themes of love, betrayal, forgiveness and so forth. But the strength of the production lies in the strength of the collaborative elements of the original. Edward Burra’s front cloth is a powerful opening image. A huge ship’s prow appears to jut out into the auditorium. It represents the shipyards along the river Clyde in Glasgow where the story is set in slum tenements, the Gorbals. The image is instantly arresting, as is the commissioned score by Arthur Bliss, which reflects so clearly the changing moods and events of the story. To write down, or explain the narrative is complex but, in fact, the story, in which a mysterious stranger brings a woman back from the dead and reforms a prostitute but is eventually killed by the town’s jealous minister, is instantly understandable as we watch events unfold on stage. And here the collaborative nature of the original comes to the fore again. The libretto was written by Michael Benthall and focuses strongly on developing characters without going into extraneous detail. When Arnold Haskell saw Miracle in 1944 he wrote: ‘With rare skill [Benthall] avoided the pitfalls of novelising his story. Everything that he put down could be made clear in balletic action and was discussed in detail with Helpmann.’ And so it was with the Lynne restaging. The balletic action is very much in the mode of dance-drama rather than ballet per se. In fact the action was sometimes quite static, often relying on group poses or dramatic stillness. Every dancer gave a powerful performance. Apart from the leading players, Elisha Willis as the Prostitute, César Morales as the Stranger, Iain Mackay as the Minister, and Delia Mathews as the Suicide, standouts for me were Michael O’Hare as the Beggar and three Old Women played by Ruth Brill, Jade Heusen and Marion Tait. Kenneth MacMillan’s La fin du jour opened the program. This work, which dates to 1979, is danced to Ravel’s Piano Concerto in G Major, and examines the lifestyle of a certain class of people in the inter-war years. It left me a little cold, although I enjoyed the second act, the adagio. Here MacMillan’s skill at using stillness as a choreographic tool was clearly evident as we watched the dancing of two women, each partnered by five men in different combinations with none leaving the stage throughout the scene. The triple bill closed with David Bintley’s Flowers of the forest. It was joyous series of dances in the Scottish mode. Bouquets to the gentleman who executed double tours en l’air ending in a full plié in 5th position. Wonderful. Talk given at the National Gallery of Australia in conjunction with the exhibition Arthur Boyd: Agony and Ecstasy, 9 September 2014.